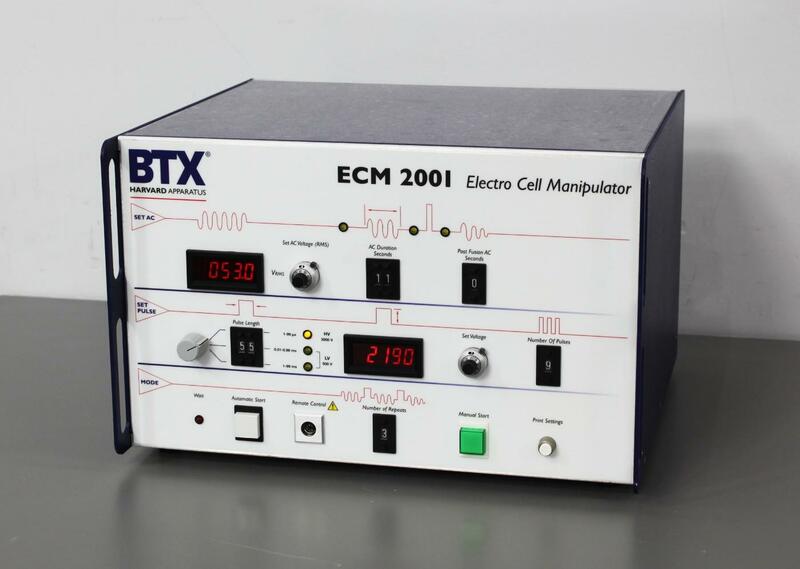 Harvard Apparatus BTX ECM 2001 Electro Cell Manipulator Electroporation 45-0080 . New Life Scientific, Inc.
Voltage Tested. Guaranteed with a 90-Day Warranty. to you for a fraction of the original $19,000 price. it through complete testing wasn’t possible. have all the accessories you might need to operate the system.